This is the perfect tester for UTP Cables and LAN devices. 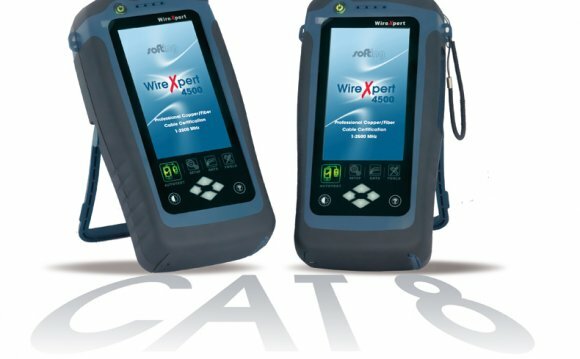 Test; speed parameters, cable propagation delay, cable skew, cable typing (Cat 3, 5, 5E, 6), attenuation, cable verification, high accuracy TOR, LAN device tester (advertised and negotiated). RWC also performs basic testing for coax cables. Comes with Tone Generator/Probe. *Uses real data from your hub, switch or PC. Compatible with all 10MB, 100MB and GIGABIT networks! If your toolbox is full of $200, $300 and $400 testers, why do you need a Real World Certifier? Your testers can tell you if your cable is wired correctly, but they can’t tell you how fast the cable is capable of operating. The Real World Certifier tells you if your cable is wired correctly and the speed at which your cable is capable of operating!! The Real World Certifier is easy to use. Get understandable results quickly. The images below show the simple steps that spot slow cables, bad connectors, incorrect wiring, noisy cables, improper lengths and low signal levels form hubs, switches and PCs. Learn how the Real World Certifier compares to expensive certifiers.